These are uncertain times in the global economy, and anything that can be done to lessen uncertainty is welcome. Last week, the Bank of Canada and the federal government took an important step to provide some certainty, to both companies and consumers, by signing a five-year renewal of our inflation-targeting agreement. This year marks the 25th anniversary of inflation targeting in Canada. That is a long time—so long that a whole generation of business leaders and consumers has not had to deal with the uncertainty associated with high and variable inflation. It is human nature to take for granted things that have been around for a while. The Bank of Canada will never take for granted the benefits of inflation targeting, and last week’s renewal makes it timely to remind people of the benefits that inflation targeting has delivered, as well as the difficult journey we took to get here. Twenty-five years is the silver anniversary, but inflation targeting has truly been golden. As an approach to monetary policy, inflation targeting has proven its worth repeatedly, both in good economic times as well as turbulent ones. Canada was just the second country to adopt this approach. Now, inflation targeting—narrowly defined—is being practised by 36 central banks representing 37 per cent of the world’s economy. When you add the US Federal Reserve, which has inflation control as one of its mandates, and the European Central Bank, which has a mandate to keep inflation below 2 per cent, 64 per cent of the world economy is following some form of inflation targeting. But to understand how important an advance this system represents, you need to look back to the bad old days of the 1970s and 1980s. Inflation was not only much higher than today, but it was also much more variable. Annual inflation reached more than 12 per cent in 1974, dropped to less than 6 per cent two years later, then jumped back to over 12 per cent in 1981. It was impossible to predict with confidence what the inflation rate would be from one year to the next. From an employer’s point of view, high and variable inflation made it extremely difficult to do the hard math required to run a business. High inflation meant companies constantly faced “menu costs” associated with having to regularly adjust prices. Those costs would typically be passed on to consumers, who also faced uncertainty about the future purchasing power of their savings. The situation was bad enough in the 1970s that the federal government implemented wage and price controls—a drastic measure usually reserved for times of war. They did not work. What ultimately did work were extreme monetary measures—interest rates that would make your head spin today. Mortgage rates rose above 20 per cent in the late 1970s. That must be hard to imagine for the current generation of borrowers, who are accustomed to five-year mortgages below 3 per cent and zero per cent financing at car dealerships. That necessary monetary medicine was painful, and it worked. By 1983, inflation had settled into a range of around 4 to 5 per cent. Back then, it would have been easy to proclaim the mission accomplished. Lowering inflation was no longer a high priority for governments, or for employees—particularly unionized workers—who could protect themselves with cost-of-living adjustments built into contracts. It was about this time that I first came to work at the Bank of Canada. We knew that settling for 4 to 5 per cent inflation was not good enough. 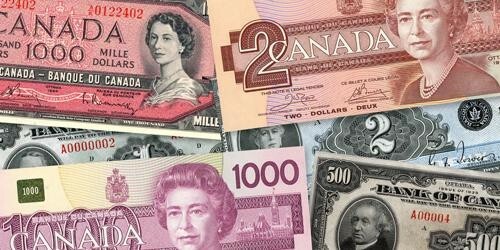 Canadians would still have their purchasing power eroded, just not as quickly. At an inflation rate of 5 per cent, prices still double in 15 years—which means that prices would more than double over someone’s retirement horizon. Back in the late 1970s, there was a near-absolute consensus among economists and academics about how central banks should fight inflation. Control the supply of money and you control inflation, or so the theory went. Monetary targets would give clarity—a nominal anchor to help explain your actions—and provide the inflation outcome you want. Everyone understood that. The only problem was, it did not work quite as the theory predicted. We worked hard at the Bank to try to save the idea of monetary targets, but the economy was changing rapidly, and new types of bank deposits were being introduced. As a result, the relationship between money supply and inflation proved too unpredictable to rely on. It was quite a blow to the economics profession when, in 1982, then-Governor Gerald Bouey famously dropped the bombshell that we would no longer target the money supply. The Bank went off into uncharted academic territory, searching for a new way to control inflation. We knew all along that interest rates and inflation are connected through a complex series of relationships, with money somewhere in the middle. So, the Bank focused its efforts on refining its understanding of the linkages between interest rates, economic growth and, ultimately, inflation—in short, a macroeconomic model. In 1988, then-Governor John Crow announced that monetary policy should aim at “achieving and maintaining stable prices.” Although the precise definition of price stability was left open, the anchor for monetary policy would be inflation itself, not an intermediate variable such as money. It is fair to say that the concept of directly targeting inflation was met with a fair degree of skepticism, including from the government. After all, a central bank does not control how prices are set. What made us think we could achieve an inflation target? Well, we had done the research and improved our ability to use economic models, so we knew the logic was sound. In the end, the federal government was persuaded—we reached a formal agreement that said our monetary policy would be directed at controlling inflation and that gave us the operational independence to carry out policy as we saw fit. And so, in 1991, Canada became an inflation-targeting pioneer. Over time, the broad parameters of our approach have not changed. For the first three years, we had inflation-reduction targets, with a goal of bringing inflation down to 2 per cent. We succeeded. Since 1995, we have aimed to keep inflation at the 2 per cent midpoint of a 1 to 3 per cent range. Importantly, we approach the target symmetrically. Given the experiences of countries who have struggled with deflation, we are just as concerned about inflation below our target as above it. We want businesses and consumers to be able to make long-term plans with certainty. As it turned out, the framework worked better than we could have reasonably hoped. Check the numbers. Inflation averaged about 7 per cent between 1975 and 1991, including the 1983 to 1990 period when it stabilized around 4 to 5 per cent. Since then, inflation has averaged almost exactly 2 per cent and become much more stable, and expectations have become solidly anchored on the target. Inflation targeting has also provided economic benefits that went beyond those we were expecting. Canadian businesses and households have reaped the rewards of reduced uncertainty, helping them make spending and investment decisions with more confidence. It has also led to improved economic performance across a number of dimensions—both in terms of higher levels of activity and lower variability. The agreement, which has been renewed every five years since 2001, gives our approach legitimacy—that is crucial in a democratic society. And having an explicit number for a clear target like the inflation rate makes it easy to judge our work. Importantly, the agreement also gives inflation targeting additional credibility, which has made it more effective. This credibility has grown with our success in hitting the target. 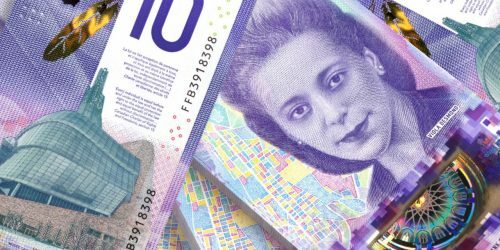 The combination of inflation targeting with a floating exchange rate has given Canada scope to pursue a truly independent monetary policy, suited to our specific conditions. The framework has also given us flexibility to respond to economic shocks. We could act aggressively during the global financial crisis, for example, because inflation expectations were so well anchored. And, during the crisis, our framework provided an anchor that helped explain our actions. It was not just Canada that benefited from improved economic performance. This outcome was shared by many countries as inflation targeting spread, contributing to a period known as the “Great Moderation.” That success had a downside—the extended period of positive economic performance spawned rising financial imbalances. In short, we learned that while inflation targeting can bring about economic stability, that is not a sufficient condition for financial stability. Let me mention one more important benefit of our framework. 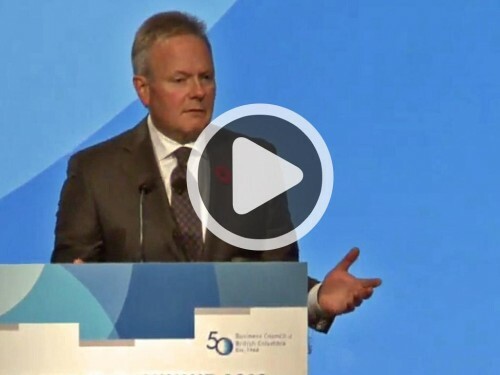 Inflation targeting has made the Bank of Canada much more transparent. From the beginning, we knew that inflation expectations would be important. If people believed we would bring about low and stable inflation, they would behave in a way that would help make that happen. It has become clear over 25 years that it is easier to anchor inflation expectations when people understand what the central bank is doing, and why. This has led to a steady evolution in our approach to communications—in short, more and deeper communications around monetary policy decisions. In Governor Bouey’s day, communication with the public was not a high priority. One or two public speeches a year was normal, with an occasional one by a Deputy Governor. So far this year, Governing Council members have given 17 public addresses, like this one, each broadcast live over the Internet and posted on our website for future reference. There have been many other changes that make us more transparent and accountable. 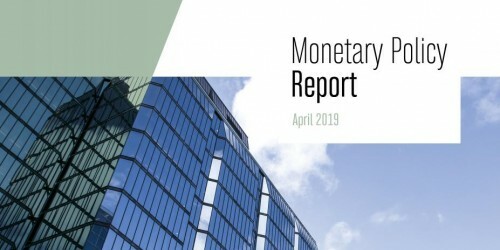 Four years after moving to inflation targets, we began publishing our Monetary Policy Report (MPR), which explains in detail how we interpret developments in the economy and spells out our economic and inflation forecasts. Senior Deputy Governor Wilkins and I hold press conferences after the publication of each issue of our MPR and Financial System Review, and we offer opening statements that highlight the key issues that figured in our policy deliberations. The two of us also appear before House of Commons and Senate committees twice a year. The Bank now publishes more research and has become active on social media. The overarching goal of all this activity is to help Canadians understand what we are doing, and why. Of course, Canada is not alone in this move toward transparency. My belief is that the additional accountability that comes with a formal inflation target has been the main driver of the transparency trend seen here and at other central banks. Now, just because inflation targeting has worked very well, that does not mean it cannot be improved. At each renewal, we have asked ourselves fundamental questions to make sure inflation targeting is delivering economic benefits most effectively. For example, in 2011, we clarified that the framework gives us the flexibility to adjust the time we need to return inflation to target, if moving too quickly or slowly would worsen financial stability concerns. During the five years leading up to this renewal, we looked into three issues. The first was about as fundamental as you can get: Is 2 per cent the right target? This has been a live issue throughout our experience with inflation targets. Five years ago, our research considered whether we should lower the target. This time, given our experience with low inflation and the risk of deflation, we took a good look at the idea of raising the target. We considered this possibility seriously because central bank policy rates in many economies have been near, or at, historic lows, reaching the effective lower bound in some places. The idea is that interest rates would generally be higher if we had a higher inflation target, so we would have more room to lower rates in the future before we hit that effective lower bound. However, we have learned from recent experience that there are unconventional monetary policies that give us more room to manoeuvre than previously believed. These include pushing interest rates below zero or buying longer-term bonds to compress long-term yields. A higher inflation target would mean higher nominal interest rates and more room to manoeuvre, on average, but also would entail imposing a higher inflation tax on the economy. I think of this as paying dearly, every day, for insurance against the low-probability risk that another very large macroeconomic shock could occur in the future. Besides, pushing inflation up from 2 per cent to 3 per cent might be quite difficult to do, and might require some significant economic fluctuations, given how well inflation expectations appear to be anchored at 2 per cent. The second issue we focused on was our measure of core inflation. Prices can move for reasons beyond the control of monetary policy. For example, a drought can lead to higher food prices. We try to look past those movements to focus on the underlying trend of inflation, so that we do not oversteer our policy. Previously, we used one particular measure of core inflation. Now, we will use three different measures that get at the underlying trend in different ways. You can find more information about these measures in the renewal document that is posted on our website. The third issue we took on is how monetary policy decisions should take into account concerns about the stability of the financial system. Once again, we drew heavily on the experience of the past five years. We have now seen successive moves by federal authorities to mitigate the threat posed by imbalances in our housing market and high levels of household debt. Our view is that these so-called macroprudential policies are best placed to deal with threats to financial stability because they can be designed to target specific financial vulnerabilities. In contrast, adjusting interest rates is a very blunt tool with widespread effects. Given all the work done to strengthen the global financial system over the past few years, it makes even more sense to separate monetary policy from efforts to stabilize the financial system. That does not mean our monetary policy ignores financial stability issues. For one thing, monetary policy is transmitted through the financial system, so we want it to work well. For another, we know that financial system vulnerabilities can magnify the impact of negative shocks, such as a large rise in unemployment. So, at the Bank of Canada, we take a risk-management approach to monetary policy. We acknowledge that there is always uncertainty around the outlook for inflation, and developments in the financial system bring uncertainties for financial stability. These uncertainties generate a zone within which we can tolerate variations in either the risks to our inflation outlook or risks to financial stability. Because there are many possible paths for monetary policy that can lead us to our inflation target, and because we have flexibility around the time it takes to hit the target, we can use monetary policy to manage those risks, while still keeping the pursuit of our inflation target as our main priority. For me, renewing the inflation target is a cause for celebration. And, I think Canada’s inflation-targeting framework is stronger than those in many other countries, for a few reasons. First, the five-year renewal cycle gives us a regular opportunity to do a thorough examination of our policy in light of experience and new research, and to adjust it if necessary. 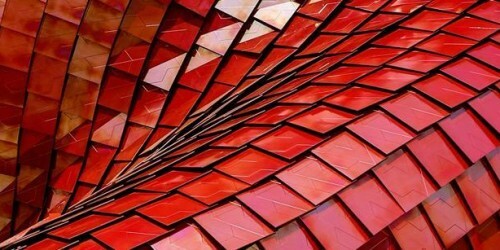 Without the regular renewals, it would be much more difficult to introduce new thinking into the framework. Second, the renewal cycle brings an obligation to demonstrate to the government and to Canadians that we have the right policy. This requirement means that the framework has strong credibility. Third, because the framework takes the form of an agreement between the government and the central bank, there is an explicit commitment from the government to support our pursuit of low, stable and predictable inflation. The agreement therefore means that all economic policies—including monetary, fiscal and macroprudential—can work together in a complementary fashion. But at the same time, I recognize that even after years of very low interest rates, the economic recovery in many economies remains weak. So it is not really surprising that some are questioning whether policy-makers, including central bankers, are doing the right thing. Has monetary policy lost its effectiveness? Is inflation targeting passé? We take these debates seriously. We have studied the research and the theory behind frameworks such as price-level targeting and targeting the growth of nominal gross domestic product. But, to date, we have not seen convincing evidence that there is an approach that is better than our inflation targets. I am in no way suggesting that inflation targeting is perfect. We will never stop looking for ways to make our framework better, and to provide greater certainty to Canadian businesses and consumers. This goes beyond the targets themselves to include the tools we use to pursue them. Economic models remain at the core of the entire inflation-targeting process, and models require investments to capture many new complexities in today’s economies. In short, the next generation of economic models needs to be under construction now—after all, the main model used at the Bank today is the culmination of nearly 30 years of research effort. It is time for me to conclude. The renewal of our inflation-targeting agreement is good news. Whether you remember the bad times or not, high, variable and unpredictable inflation is deadly for confidence. It is a source of uncertainty that would be brutal in today’s economic climate. We will not let that happen. We have a record of more than 25 years as a successful inflation-targeting central bank. This has helped businesses and individuals make financial decisions with certainty and confidence. It has led to an environment that is conducive to sustained economic growth. The renewal of the inflation-targeting agreement sets us up to extend this track record of success for another five years. But our framework is not set in stone. We will continue to observe and learn, ask questions, and make sure our monetary policy is truly doing its best until the next renewal in 2021. We will be looking for new ways to engage with Canadians in a discussion about our framework, and would very much like to hear your ideas as we continue to promote the economic well-being of Canadians. 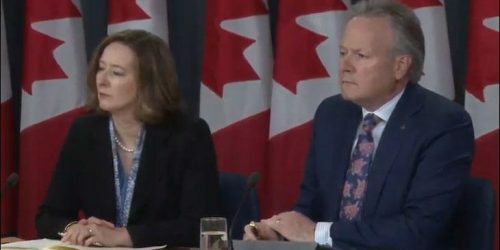 The renewal of the Bank of Canada’s framework for inflation targeting will help Canadian businesses and consumers by providing certainty around their financial plans, Governor Stephen S. Poloz said today.